We do our absolute best to deliver excellent service every day. If you feel you’ve received less than excellent service please tell us…..and we’ll refund your ticket! 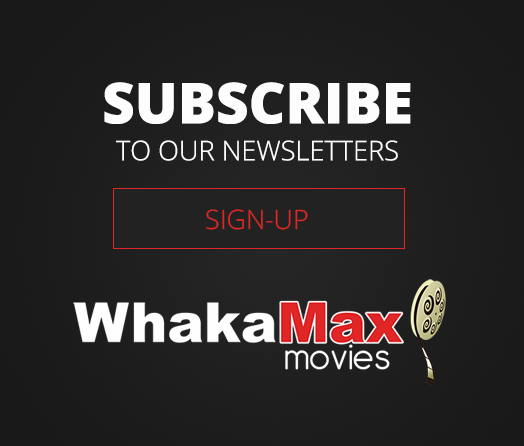 Whakamax is a locally owned and operated business, and as the only cinema in town we share a strong connection with our customers and the community. We're the only place to escape into a world of romance, action, adventure, and humor on the big screen. We're the only place to share the treats you love with best mates, family, and loved ones, from fresh popcorn to home-baking, coca cola to coffee, or Belgian waffles to a glass of wine. So at Whakamax, we’re always part of the experience, part of the magic, part of making the occasion. In every way possible, we aim to create a sense of community. We ask our customers what movies they want to see, and value their feedback on movies they have seen. We enable community benefit, such as fundraiser screenings and giving back to local organisations. We appreciate and reward loyalty with a range of member benefits through our new Loyalty Club. Through it all, we welcome all our customers — holidaymakers included — as part of the Whakamax whanau. We appreciate and reward customer loyalty and in 2017 launched our new Whakamax Loyalty Club. Members receive a free ticket on sign up, discounts on movie tickets, $3 barista coffees weekday mornings and $5 beer & wine happy hours on Friday nights. We have many fun ideas for special screenings and offers for members this year, so please join and stay tuned! We warmly invite you to become a member of our Whakamax Loyalty Club. At only $10 (less than the cost of an adult movie ticket, the membership pays for itself! ), you can join in person at our ticket counter during opening hours. The name says it all! Delicious freshly baked Belgian waffles as well as a range of mouth-watering home baked treats, the best coffee in town, real fruit ice-creams, free WiFi, and great service making it the perfect place to share a treat and spend time with family and friends. We are grateful for the support of our community and as a gesture of our gratitude we like to give back to the community. We have an active sponsorship program that is aimed primarily at the youth of today. Recent community events have included complimentary movie screenings for families affected by the Edgecumbe floods, a special movie night for the Ngati Awa Volunteer Army (NAVA), a long running association with CanTeen and their local members, and numerous direct sponsorship of local schools and sporting teams. If you are a youth focused organisation, sporting or cultural team, or education provider, please contact us to see how we can assist. "I love how you are at the Ngakau of the main street..and this community."